Forbes’ list of “Best Religiously Affiliated Colleges"
Faculty and administrators design programs that put students first, recognizing that each student has different goals and needs. 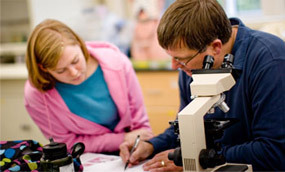 From personalized academic guidance to ongoing spiritual formation, faculty mentoring and career advising, the entire educational process at George Fox is organized around our students’ growth and success. 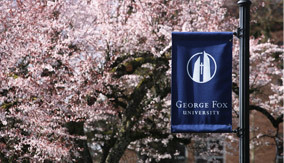 George Fox provides the resources of a national university and the accessibility to opportunities that only a smaller university can provide. 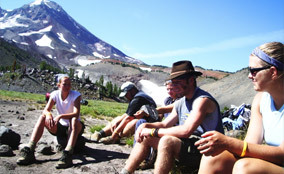 Undergraduate and graduate students participate in life-changing experiences such as faculty-mentored research projects, internships and study abroad programs. The options are diverse. 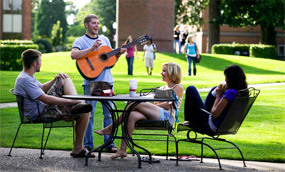 Here, a student can perform in a play, compete in NCAA Division III team sports, sing in a choir, and even lead a student club. Our smaller size means big opportunities. 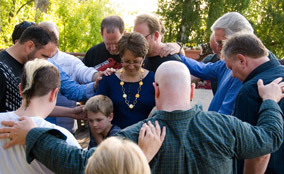 Faith permeates every facet of the educational experience at George Fox. Faculty and administrators, who are all professing Christians, are dedicated to integrating faith and learning, and are passionate about helping students fulfill their vocational callings. Students gain deeper understandings of God in the context of a Christ-centered community focused on loving God and people and by learning how faith can develop whole persons who become outstanding professionals. 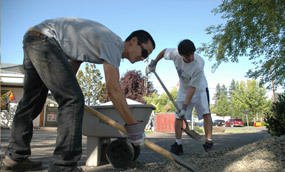 Since its founding, George Fox has encouraged its students to seek ways to make their faith relevant in the world. 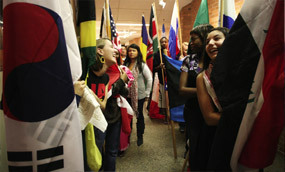 Our commitment to outreach, study abroad and addressing the social justice issues of our day has helped to create a learning environment that emphasizes global awareness and engagement. George Fox is consistently ranked by U.S. News & World Report among the nation's leaders in the percentage of students studying abroad. Graduate and undergraduate service trips continue to address complex social justice concerns in Africa, India, Brazil, Ukraine and Romania.